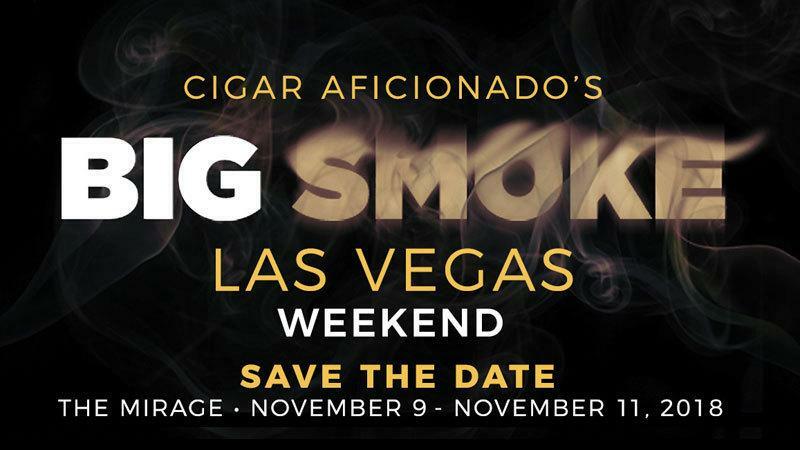 Attention cigar lovers: The dates have been set—and tickets are on sale now—for a grand weekend of cigar parties and exciting daytime seminars at Cigar Aficionado’s Big Smoke Las Vegas. The festivities will take place at The Mirage Las Vegas Hotel and Casino from November 9 to 11. For 23 years, Cigar Aficionado’s Big Smoke has brought cigar lovers from around the world together in Sin City. During the Friday and Saturday night cigar parties, lovers of the leaf will have the opportunity to meet, greet and receive cigars directly from the men and women who create them. During the day, attendees will gather inside the smoke-friendly seminar rooms to hear some of the most experienced cigarmakers in the industry discuss their craft with Cigar Aficionado editors. There are several ticket options available for cigar lovers planning to attend. The all-encompassing VIP package includes entry to the daytime seminars and both evening parties. VIP ticket holders also have access to the showroom floor an hour early, which gives you more time to collect (and smoke) all of the great cigars you’ll receive during the evening parties. Tickets for individual evenings (both VIP and general admission), as well as general admission weekend passes are also available. Exciting updates on seminar schedules and cigarmaker appearances will be posted to CigarAficionado.com, so check back often. For a taste of the Big Smoke Las Vegas experience, check out all of our coverage from last year’s event below.